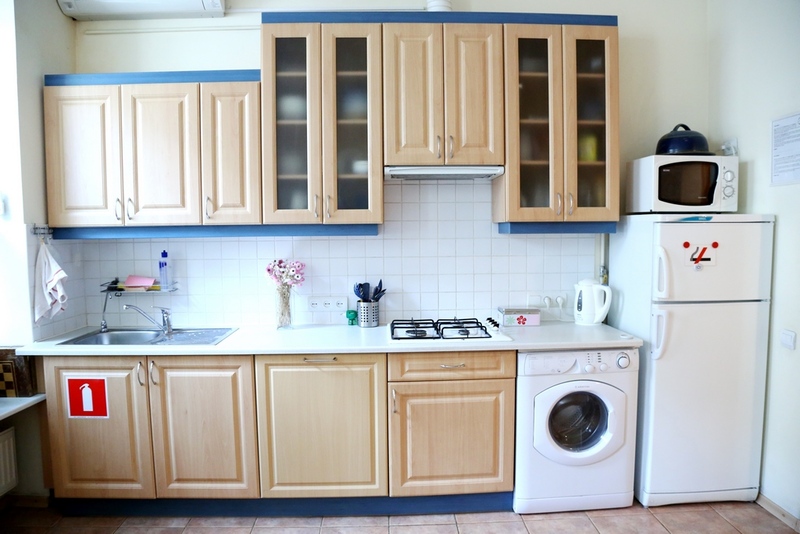 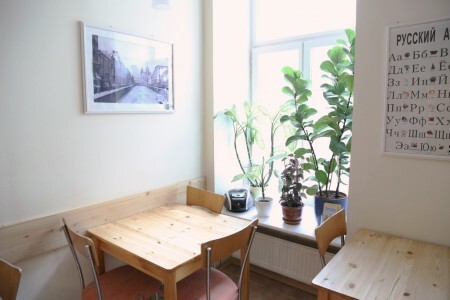 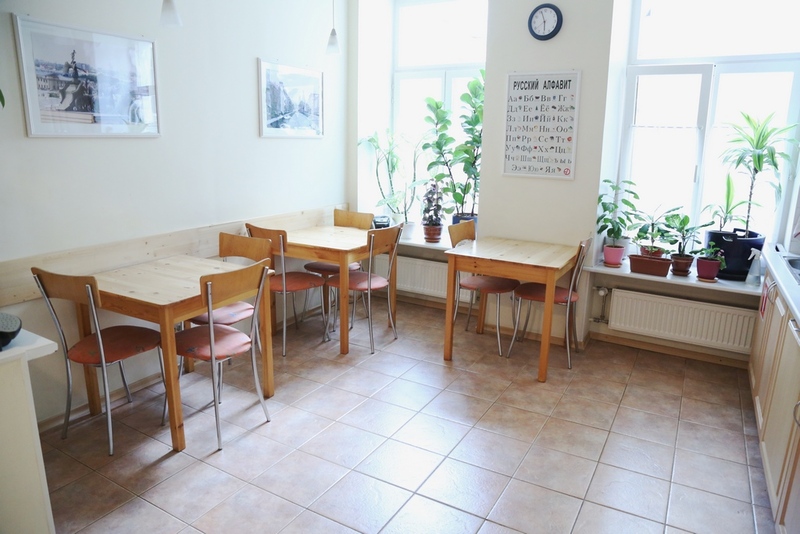 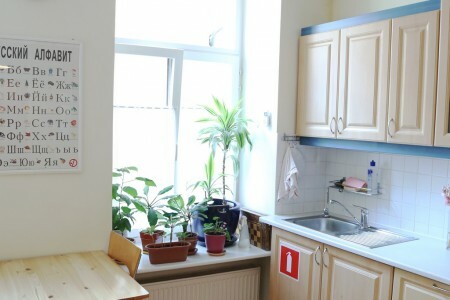 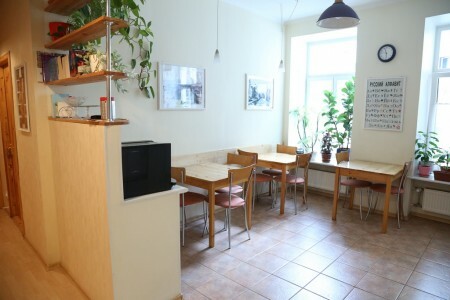 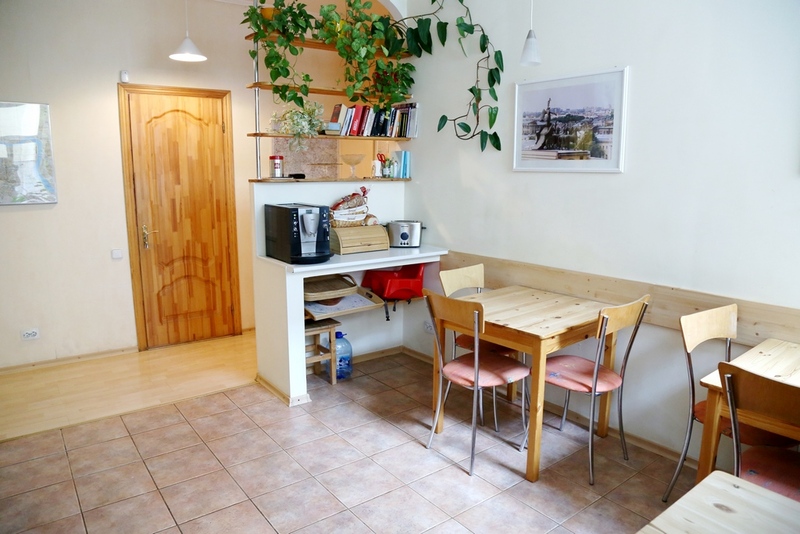 There is a large sunny kitchen in the center of the flat that also serves as a common room. You can help yourself to make coffee or tea at any time and feel free to warm up or prepare your own food. 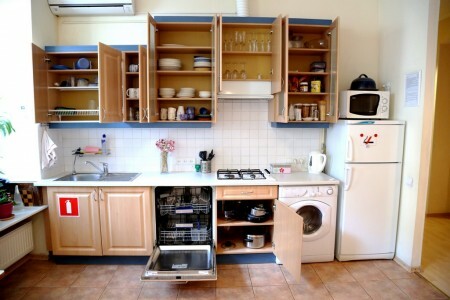 The kitchen is fully equipped with a gas stove, a microwave, an espresso and coffee machine, a toaster, an electric water kettle a big fridge and a dish washer and a washing machine. 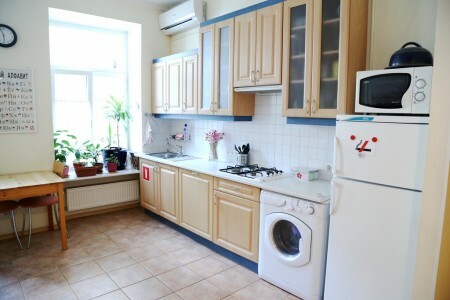 The kitchen has also a heated tile floor.